Mackenzie Scott is originally from Oceanside, CA where she grew up sitting on the floor of a theatre watching rehearsals until she could be on the stage. Mackenzie went on to become one of the top 10 California performers named by the Ben Vereen Awards for two years in a row. She is in the process of receiving her Bachelors of Fine Arts in Theatre Production/Directing at Hofstra University. 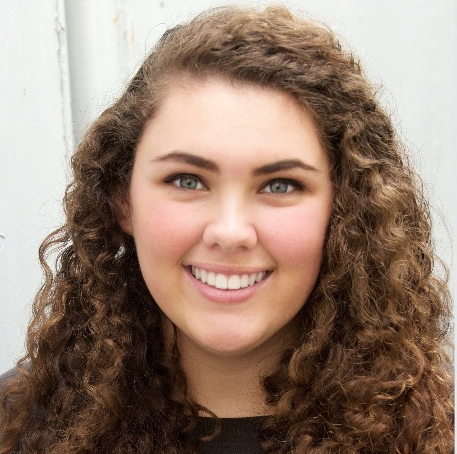 Mackenzie knew she would like to build a future in educational outreach in children's theatre so coming to work at TbT in the Spring of 2018 has been a dream. She feels incredibly blessed to be working with people who share her love of theatre and God. She is thrilled to be working with the incredible TbT team.